A ongoing controversy about two controlled trials (FIRST and iCompare) meant to test the bizarre hypothesis that sleep depriving medical housestaff (that is, physicians in training) would improve health care provided new evidence that academic medicine has been captured by managerialists. In early December, 2015 we posted about two clinical trials, FIRST and iCompare, designed to test the hypothesis that increasing housestaff sleep deprivation would improve care continuity, and thus somehow improve housestaff their performance and their patients' outcomes. Not only did the studies' hypothesis seem strange, but the studies seemed to violate fundamental rules of research ethics. Study investigators proceeded without obtaining formal informed consent from their house staff or patient research subjects, and did not allow any research subjects to opt out without penalty (e.g., house staff would have to quit their programs and find new ones to opt out). Finally, after Public Citizen and the American Medical Student Association (AMSA) complained about the studies, study defenders based their arguments on logical fallacies. Why would distinguished medical educators behave so strangely? I hypothesized that medical educators could not imagine a way to improve care continuity without worsening trainees' sleep deprivation because all logical methods to do so would cost money. However, the managerialist executives to whom medical educators are now beholden shrink from increasing costs, other than their and their cronies' own compensation. Of course, the controversy, and particularly the complaints from AMSA and Public Citizen have been largely anechoic. But recently, the Washington Post published a commentary by two psychiatric residents on these issues. The authors, Jeffrey Clark and David Harari, confirmed many of my concerns about the sleep deprivation trials. They personally verified that the studies were done without informed consent from the research subjects. The two of us and our patients were not provided informed consent before being enrolled in the iCompare trial. The also confirmed that the trial investigators assumed they were working in a zero-sum framework. We already know that extended shifts are dangerous. While many people rightfully suspect that current duty-hour limits aren’t improving outcomes, these studies err in assuming that the dangers of sleep deprivation must be traded for the dangers of shared patient care. Such a zero-sum framework won’t help us improve patient care or ensure the well-being of resident physicians. To elaborate, the big problem with the duty hour restrictions is that while limiting the consecutive hours interns were supposed to work, this was not accompanied by any diminution of the total workload of housestaff at any one institution. The standards published in 2011 by the Accreditation Council for Graduate Medical Education still allow hospitals to put residents through blistering 80-hour work weeks, while setting maximum shift lengths of only 16 hours for interns and 24 hours for more senior residents. Interns simply work shorter but more-frequent shifts. Doctors hand off patients to each other more regularly but without the training needed to manage these transitions effectively. And, by and large, hospitals have not responded to the changes with larger workforces, leaving residents no choice but to compress their daily work into shorter time periods. It appears that housestaff were formerly sleep deprived not by their own choice, but because they were required to accomplish enormous amounts of work. The new duty-hour limits rearrangde their work into shorter shifts, without diminishing their total responsibilities. This does not seem like much of an improvement. The FIRST and iCompare trials were designed to test whether removing the new duty-hour limits, and thus increase sleep deprivation, would somehow help, which ignores the reason the new duty-hour restrictions were enacted. But simply shortening shifts accomplishes little as long as total workload remains the same. So Clark and Harari confirmed my concerns about the FIRST and iCompare trials. But they added a new and in some ways even more dire concern. They uncovered an even more troubling response by medical academics to the zero-sum game which the managerialists ensure they are playing. Adequate sleep is a fundamental physiological need. No amount of caffeine, prescription stimulants (as some physician leaders have advocated for) or 'alertness management strategies' can adequately compensate for acute and chronic sleep deprivation. In an aside, Clark and Harari suggested the medical educators were advocating that housestaff use prescription stimulants to counteract the effects of sleep deprivation. This seems astonishing. Yet a brief search revealed many informal accounts of medical students and housestaff using psychoactive prescription drugs to increase wakefulness. For example, see an account of a medical student using Focalin (dexmethylphenidate) here. Surveys, for example by Shy et al of emergency residents, suggest that use of stimulants by housetaff is rare,(1), but survey respondents may be unwilling to admit to such behavior, and emergency medicine residents may work shorter shifts than medicine and surgery residents. at one medical university, it is common knowledge among the student body that struggling individuals are encouraged to see a physician about their 'possible ADD,' or attention deficit disorder. without explaining who came up with that idea in the first place. However, in a response to a letter challenging their commentary, they denied (3) that they were advocating for such drug use, but never made clear who else was. As we have noted, stimulants used for attention deficit and hyperactivity disorder (ADHD) are amphetamines or relatives of amphetamines, and have dangerous adverse effects. Encouraging, even subliminally, medical trainees to use such dangerous drugs to try to compensate for underfunding of training programs seems unethical, as the above letter writer pointed out. (3) That medical educators would resort to such an extreme solution suggests how they are now boxed in. While the ongoing trials of housestaff sleep deprivation have been largely anechoic, the recent Washington Post commentary by Clark and Harari make questions about why in the world medical academics would have set up such trials and continue to defend them even more stark. But it seems that medical academics are boxed in, playing a zero-sum game. They may know that there housestaff are overworked and sleep deprived, a situation that endangers the housestaff and their patients. Yet every reasonable way one could imagined improving the situation would require spending more money, most likely to hire more people to spread the workload. Yet spending more money may be an anathema to the generic managers to whom medical academics report. Spending more money would decrease revenue, and for many managerialist managers, increasing revenue, not patient outcomes or physician performance, is the prime directive. To conclude, as I did on my first post on the sleep deprivation studies.... I hope that the two studies create the degree of controversy they deserve, and that the federal government promptly starts investigating honestly and thoroughly. I further hope that this unseemly episode causes medical educators to rethink the cozy or at least conflict averse relationships they have with their managerialist leaders. 1. Shy BD, Portelli I, Nelson LS. Emergency medicine residents' use of psychostimulants and sedatives to aid in shift work. Am J Emerg Med 2011; 29: 1034-36. Link here. 2. Rose SH, Curry TB. Fatigue, countermeasures and performance enhancement in resident physicians. Mayo Clin Proc 2009; 84: 955-57. Link here. 3. Paparodis R. Fatigue, countermeasures and performance enhancement in resident physicians. Mayo Clin Proc 2010; 85: 300 - 303. Link here. Numerous allegations of bad behavior by big health care organizations, some apparently causing patient harm, have resulted in legal settlements, sometimes of criminal charges. Yet rarely do the individuals who apparently authorized, directed, or implemented the bad beahvior suffer any negative consequences. In particular, the top executives on whose watch the bad behavior occured seem to have impunity. Washington State Superior Court Judge Dean Lum agreed Oct. 30 that Wyss, a Swiss billionaire ... can stand trial under the state’s racketeering laws for leading a criminal enterprise that caused the death of Reba Golden. She died during an illegal drug test conducted by Wyss’s company in 2007. Wyss faces a statutory civil penalty of $250,000 for each violation, amounting to $9.2 million for 'personal injury to and death of Mrs. Golden.' He is charged in 37 violations. The plaintiff is Reba Golden’s daughter, Cynthia Wilson, whose mother died in 2007 on the operating table after Synthes organized illegal 'market tests' for at least 50 persons across the country of an untested bone cement substance that the Food & Drug Administration banned for use in the spine. Wyss 'entered into a criminal enterprise to perfo'rm illegal and experimental surgeries on patients,' Daniel Hannula, Golden’s attorney, told The DCNF. 'Mr. Hansjorg Wyss was the controlling stockholder and ranking executive of Synthes and Norian Corporation and the leader of a criminal enterprise,' the complaint states. 'The criminal enterprise engaged, for profit, in a pattern of criminal profiteering activity,' enticed by the prospect of a company forecast of $3 million in after-tax profit for the first year of sales. These are only allegations, of course. However, again, it is very rare for any top executive of a health care organization to personally face a lawsuit for his or her organization's conduct, no matter how bad that conduct may be. Synthes USA, the American branch of a Swiss based device company, first settled charges that it had been paying surgeons with company stock to use its products in its clinical trials in 2009 (see this post). Then prosecutors alleged that these were not really rigorous trials. Instead, for marketing purposes, executives of Synthes subsidiary Norian persuaded surgeons to use its Norian XR product in a case series of spine surgery patients and then publish the results. Three patients who received the product for this "off-label" use died. This scheme was alleged to have been directed by 'person no. 7,' whom journalists identified as the company CEO, Hansjorg Wyss (see post here.) In an unusual move, the prosecutors indicted four company executives, who then pleaded guilty. They did not take any further action against Wyss, who turns out to be one of the world's richest men (see post here). The case then slipped into relative obscurity, although Fortune ran a long-form article on it in 2012, which called it a "medical horror story." Because of the unusual nature of the ongoing lawsuit, one might expect that it would generate some public discussion. One would be wrong. The litigation against Mr Wyss so far has received almost no media coverage, demonstrating the ongoing anechoic effect. We previous defined the anechoic effect, as the phenomenon that information or discussion that could challenge or discomfit the powers that be in the US health care often generates no echoes. To date, I could only find coverage of the ongoing lawsuit against Mr Wyss in the Daily Caller. And ironically the Daily Caller did not appear to cover this case because it specializes in malfeasance in health care. It seemed to cover it because it may have indirectly reflected negatively on prominent members of the US Democratic Party. What I despise most about the legacy media isn’t just that they’re mindlessly liberal, though they are. carved out a cozy corner of the web in its short life. It’s a place for conservatives to read about the latest liberal scandal and the latest movements in the GOP presidential field. So presumably if Mr Wyss was uninterested in politics, and did not donate to any remotely left wing causes, the Daily Caller would not have covered the ongoing lawsuit, leaving it totally anechoic. But whether of not the Daily Caller had an axe to grind when making its choice to report on the ongoing litigation against Mr Wyss, why did every other media outlet to ignore the story? Perhaps again the rule is in general it is simply not done to publicly discuss what might excessively embarass the people who have gotten very rich from the currently dysfunctional health care system? The just revealed story of the lawsuit against the extremely rich former CEO of Synthes does suggest that perhaps individuals injured by our curent dysfunctional health care system could use the legal system to try to challenge those who get rich from enabling such injuries. Or not, because the outcome of this lawsuit is uncertain. Furthermore, the initiation of this lawsuit again reminds us that those who lead large health care organizations, and may profit mightily from them, regardless of the effects on patients' and the public's health, remain beyond the law. It is not clear why the US Department of Justice chose not to even attempt to prosecute Mr Wyss, although they apparently believed he was responsible for directing the actions that led to patient deeaths. But his impunity mirrors that granted to just about every top health care manager who authorized or directed corporate bad behavior that endangered patients. This impunity is further enabled by how anechoic stories of bad leadership of health care organizations, even of apparently criminal or corrupt leadership, are. As long as most health care professionals and the public at large remain unaware of the dark side of health care, they are unlikely to seek light to shed upon it. True health care reform would encourage open, widespread discussion of all aspects of health care dysfunction, particularly bad behavior by those who profit most from it, and would encourage health care leadership that puts patients' and the public health first, is willing to be accountable for its actions, is transparent, honest and ethical. Drinking the Managerialists' Kool-Aid? 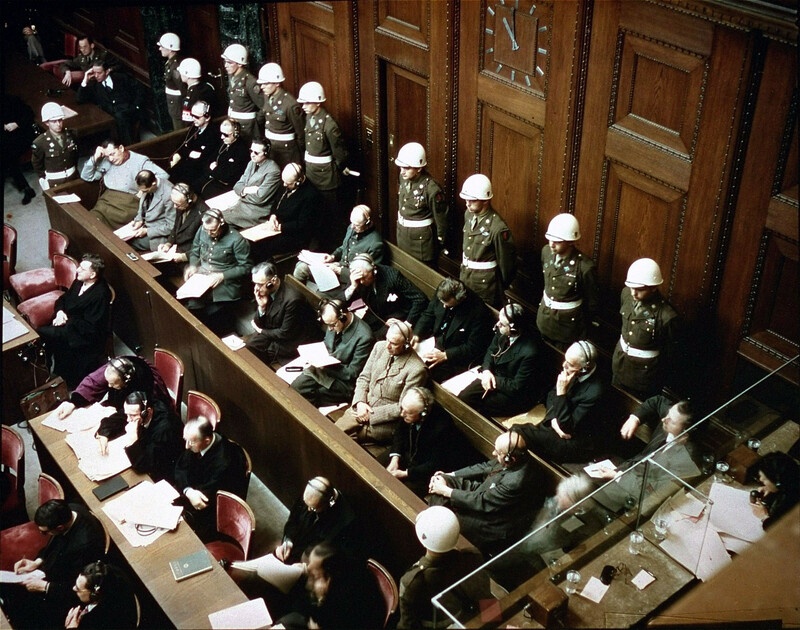 - Why Did Medical Educators Launch Trials of Increased Sleep Deprivation of Physician Trainees Apparently in Violation of the Nuremberg Code? It all seemed so bizarre. In 2014, with little fanfare, two large trials that imposed longer work hours and sleep deprivation on physician-trainees (interns and residents), ostensibly to combat the problem of excess hand-offs of patients among physicians. Both trials involved multiple academic medical centers, including some of the most prestigious in the US. Within a year, the American Medical Student Association (AMSA) and Public Citizen called for a federal investigation of the trials, calling them "highly unethical." This unprecented conflict between prestigious academic medical institutions and the largest organization of medical students and a respected watchdog group suggests either the former have serious ethical problems, or the latter have gone a little crazy. The minimal media attention to the dispute did not explain what is going on. My suspicion is that these events open a window on how respected medical academics are now in the thrall of the managerialist leaders of health care. Let me start by disclosing the axe I am grinding. I was an internal medicine intern from 1978-79 in a program known to be very arduous. For much of the year, I worked up to 36 consecutive hours every fourth night, often without more than a few hours of sleep. My on call shifts were extremely busy, involving admission of usually 4-5 complex and acutely ill patients, handling exacerbations and emergencies affecting my own patients already in the hospital, and three other interns' patients for about 12-15 hours of the shift. The workload was augmented by a hefty amount of "scut," that is, tasks that either did not involve direct patient care, or could easily have been done by someone who was not a physician, e.g., paperwork and phone calls, other bureaucratic tasks, drawing blood, starting IVs, and even transporting patients. As the shift dragged on into the evening, I knew my mind was getting fuzzier and my coordination was getting clumsier. The notion that working 36 hours straight was educational, was good for my patients, or was good for me seemed nonsensical. One reason I went into medical education was to improve the experience for future trainees. I was hardly the only person who thought the work requirements imposed on medical housestaff were nonsensical. The first notable improvement was the advent of night float systems that allowed on-call housestaff to get at least some sleep. Eventually, in part after the infamous "Libby Zion case," (see NY Times retrospective here,) teaching hospitals were required to limit work hours. In 2003, Accreditation Council for Graduate Medical Education limited the total work week to 80 hours, required one day off a week, and required call schedules no more frequent than every third night. (Note that my old program fulfilled all but the first.) In 2011, the rules were tightened further, limiting interns to shifts no longer than 16 hours. The rule change elicited mixed reactions from residents and program directors of residency programs, who worried that increased hand-offs led to worse patient care and shorter hours reduced education opportunities. Policy limiting duty hours in graduate medical education training programs has become a central point of debate amongst stakeholders. Evidence from human chronobiology and sleep science argues for shorter shifts, because fatigue leads to errors. Evidence from operations research argues for more continuity because patient handoffs also lead to errors, and may reduce the effectiveness of education necessary to produce independent clinicians for the nation’s future. The two controversial trials were thus designed to answer the question of whether allowing increased consecutive duty hours would lead to better hand-offs and better outcomes. This question seems poorly conceived, and was not clearly justified. The trials were apparently based on the idea that housestaff training programs can exist in only two possible states: allowing longer duty hours with fewer and better done hand-offs, or allowing shorter duty hours with more and badly done hand-offs. Therefore, the only choice seems to be to maintain the current system (tighter duty hour restrictions) or go back to the old system (more relaxed restrictions). However, these are not the only possible alternatives. One can easily think of other choices. Oddly, the spotty materials about the iCOMPARE trial available online did not include any consideration of why the more restrictive duty hour regulations may have led to bad handoffs. Perhaps the current problem with hand-offs, while it may be real, may have not come about only due to a decrease in the consecutive hours housestaff were allowed to work. Perhaps it came about because the consecutive hours regulation was imposed on the closed systems of housestaff training programs in which the clinical and non-clinical responsibilities of the housestaff were fixed. So, cutting consecutive work hours without decreasing the number of patients that need to be managed, or the housestaff's total workload, including "scut," may have pushed individual residents to try to do more work in less time. This could have had various detrimental effects, including increased numbers of hand-offs occurring under too much time pressure. That hypothesis suggests that measures other than allowing more consecutive work hours could address any unintended effects on hand-offs of the mandated consecutive work hour reduction. It seems plausible that shorter duty hours combined with measures to decrease total housestaff workload, starting with offloading "scut" work, could produce as good or better results than simply going back to the old system. Nonetheless, the two trails were set up as if the only alternative to the current situation is to return to the old situation (longer work hours allowed). Thus it seems that the reasoning underlying the trials was based on a false dilemma. The Comparative Effectiveness of Models Optimizing Patient Safety and Resident Education (iCOMPARE) will compare the current duty-hour regimen (16-hour maximum continuous work period for interns) to what the trial calls a 'more flexible regimen' that eliminates the 16-hour cap. A total of 59 residency programs are enrolled, including academic and community-based programs. Measured outcomes will include 'patient safety and trainee education,' with data from Medicare claims, exam scores, and participant surveys. The study comes on the heels of a similar year-long, randomized trial for surgical interns (Flexibility In duty hour Requirements for Surgical Trainees, or FIRST), which began in July 2014 and is currently underway. In November, 2015, the complaints about the two trials were announced by AMSA and Public Citizen. The main issues were summarized in a Huffington Post article by Dr Michael Carome of Public Citizen. First he stated that on its face, making house staff work long hours, as they are in the intervention group, is dangerous. The iCOMPARE and FIRST trials have allowed first-year medical residents to work shifts lasting 28 consecutive hours or more -- nearly twice the current maximum number of hours allowed by the Accreditation Council for Graduate Medical Education (ACGME) for such residents. The ACGME's awareness of the known harms to both residents and patients caused by excessively long work hours led the organization in 2011 to tighten restrictions on resident physicians' work hours, including limiting shifts for first-year residents to a maximum of 16 hours. The last statement cited seven references. I should note here that I could not find in the current media reports, or in the spotty documentation of the ICompare trial avaiable online any engagement with the evidence that sleep deprivation is bad for trainee physicians (and everyone else). The next important point is that the housestaff who were research subjects of the trial, and their patients who also were at least indirectly research subjects did not give their informed consent for participation in the trial. Among the many disturbing aspects of the trials is the researchers' failure to seek the voluntary informed consent of either the resident doctors or their patients who are forced to be part of these experiments. According to a recent media report, the University of Pennsylvania's IRB -- the designated lead IRB that reviewed and approved the iCOMPARE trial -- incorrectly found that the trial involves only 'minimal' risk and therefore waived the requirements for obtaining informed consent for all subjects. For the FIRST trial, the administrator of the IRB at Northwestern University, the lead institution for that trial, shockingly determined that the trial was not even 'research with human subjects' and, therefore, that IRB review and approval were not required. As a result, there was no opportunity for the IRB to discuss the risks of the research and the need for obtaining the voluntary informed consent of both the general surgery residents and their patients. This determination represents a colossal failure of Northwestern University's human subjects protection system. This same failure presumably occurred at many of the other institutions that participated in the FIRST trial. An article in the business section of the Chicago Tribune added that Public Citizen claimed the failure to obtain informed consent was all the more serious because the house staff and patients were exposed to danger contingent on their trial participation. It claimed the 'highly unethical' experiments, including the other led by the University of Pennsylvania and Johns Hopkins University, exposed doctors to an increased risk of making serious medical errors and suffering personal injury. 'Substantial evidence shows that sleep deprivation due to excessively long work shifts increases the risk of motor vehicle accidents, needle-stick injuries and exposure to blood-borne pathogens and depression in medical students,' according to the complaint. For patients, the long hours could lead to increased medical errors and death, the complaint said. Charles Czeisler, professor of medicine and director of sleep medicine at Harvard Medical School [who] told the BMJ, 'I was shocked when I heard about this study assigning resident physicians to work marathon shifts.' Czeisler said that even as little as one week of sleep deprivation was knwon to cause serious harms. Other ethics researchers found it difficult to understand how such a trial could be approved by an institutional review board. The two trials did not get true informed consent from the housestaff subjects. As trainees required to complete housestaff training to become surgeons or internists, informing housestaff that their program would be participating in the trial, and their only option if they did not want to participate would be to seek another program surely seems like any consent they provided was given under duress. Furthermore, it is not clear that they were ever informed of "all the inconveniences and hazards reasonably to be expected; and the effects upon" their "health or person[s]." 2. The experiment should be such as to yield fruitful results for the good of society, unprocurable by other methds or means of study, and not random and unncessary in nature. Again, if the major rationale for doing the trials was to mitigate the postulated effects of increasing hand-offs, there are many other ways one could try to do this which do not involve increasing duty hours and sleep deprivation. 3. The experiment should be designed based on the results of animal experimentation and a knowledge of the natural history of the disease or other problem under study, that the anticipated results will justify the performance of the experiment. Again, there is a considerable body of research that sleep deprivation is harmful to patient and humans in general. Thus, the science suggests that increasing sleep deprivation will have unfavorable results, and thus the performance of a trial of increasing sleep deprivation seems unjustified. Again, the housestaff could not easily opt out of further participation. At best, to do so, as one of the investigators said, they would have to quit their training programs, which could jeopardize their careers and entail major financial costs. The main arguments of the trial proponents in response to the complaints seemed weak, and often appeared to be based on logical fallacies. But Northwestern said the council [ACGME] granted a waiver for the longer hours and helped fund the study. 'It was done with their approval,' Dr Karl Bilimoria, principal investigator for the trial ... said. He said institutional review boards at all the participating hospital reviewed the trial protocols and determined the patients did not need to be informed. These arguments amount to assertions that the trials must have been ethical because external authorities said they were. Thus they appear to be based on logical fallacies, appeals to authority. calls resident scheduling rules a work in progress, especially because only very small, single-institution studies have examined the effect of long hours on residents and patients. On the other hand, there are no big randomized trials to suggest that longer duty hours or increased sleep deprivation is advantageous. However, there are huge numbers of studies that show that sleep deprivation is bad for patients and people in non-medical settings, as well as medical trainees. In any case, the supporters of the trials seem to be arguing that the burden of proof should be on those who want to limit duty hours, while it seems more reasonable that to justify a trial of increased sleep deprivation, the burden of proof was on those who proposed the trial. Thus, this appears to be a version of the burden of proof logical fallacy. In trying to defend their work the advocates for these trials further corroborated my concerns above that the trials were conceived without any consideration that measures other than increasing duty hours (and consequent sleep deprivation) was the only possible alternative to the current situation. For example, in the Modern Healthcare article. 'There's always a trade-off,' [senior RAND natural scientist Dr Mark] Friedberg said, noting the increased number of patient hand-offs that occur with shorter hours. These hand-offs reduce consistency of care and open patients up to more mistakes and miscommunication among providers. 'It's not clear-cut. That's why you have to do the science,' he said. However, he did not argue that increased hand-offs are so bad that a trial of increasing duty hours and sleep deprivation to achieve fewer hand-offs could be justified. He also did not consider whether there might be some way to mitigate the effect of increased hand-offs without causing sleep deprivation. hospitals could overcome that problem by hiring doctors to work overlapping shifts. There is no evidence that the people who were so concerned about hand-offs thought of any alternative ways to mitigate any problems the duty hour restrictions could have created. This corroborates my concerns that the trials were fundamentally based on a logical fallacy, the false dilemma. So why would medical educators at some of the most prestigious US teaching hospitals launch trials to see if increasing housestaff sleep deprivation might benefit them and their patients, mandate partcipation of housestaff and patients in these trials without obtaining informed consent or allowing these subjects to opt out of the trials, thus seemingly violating the Nuremberg Code, and then defend their actions with logical fallacies? I do not think they have gone mad. I do suspect they are in the thrall of their managerialist hospital executives. The particular system of beliefs and practices defining the roles and powers of managers in our present context is what is referred to as managerialism. This is defined by two basic tenets: (i) that all social organisations must conform to a single structure [defined by management theory and dogma]; and (ii) that the sole regulatory principle is the market. Both ideas have far-reaching implications. The claim that every organisation — whether it is a mining company, a hospital, a school, a professional association or a charity — must be structured according to a single model, conforming to a single set of legislative requirements, not so long ago would have seemed bizarre, but is now largely taken for granted. The principle of the market has become the solitary, or dominant, criterion for decision making, and other criteria, such as loyalty, trust, care and a commitment to critical reflection, have become displaced and devalued. Indeed, the latter are viewed as quaint anachronisms with less importance and meaning than formal procedures or standards that can be readily linked to key performance indicators, budget end points, efficiency markers and externally imposed targets. Many of the prestigious teaching hospitals/ acacemic medical centers/ hospital systems participating in the two controversial trials may be led in the managerialist tradition. We have shown numerous examples of such leadership that may put short term revenue and the continuing enrichment of top managers ahead of all other concerns, including good patient care and the integrity of academics, has been frankly mission hostile, and jump on the latest management bandwagons as solutions all problems. I postulate that housestaff directors at such institutions tremble at the idea of challenging such leaders. Yet to improve the handoff problem, teaching programs might have to do things that cost money. Spending money that does not lead to immediate increases in revenue, and boosts in management pay, could be an anathema to managerialists. Also, to improve the hand-off problem, programs might have to challenge management dogma, such as the worship of badly designed, time wasting electronic health records. So I suspect the leaders of the two studies consciously or unconsciously eschewed trial designs that could assess any educational alternative that might have made management uncomfortable. Thus boxed in, they wound up with an apparently indefensibly unethical research project. I hope that the two studies create the degree of controversy they deserve, and that the federal government promptly starts investigating honestly and thoroughly. I further hope that this unseemly episode causes medical educators to rethink the cozy or at least conflict averse relationships they have with their managerialist leaders. ADDENDUM (5 December, 2015) - This post was republished on the Naked Capitalism blog. 1. Durmer JS, Dinges DF. Neurocognitive consequences of sleep deprivation. Sem Neurology 2005. 25. 117-129. Link here. 2. Komesaroff PA, Kerridge IH, Isaacs D, Brooks PM. The scourge of managerialism and the Royal Australasian College of Physicians. Med J Aust 2015; 202: 519- 521. Link here. The academic health IT community has spent the past decade (at least) burying their collective ostrich heads in the sand about the crappy software that is called health IT. A few, though, have taken on the health IT industry at the heart of bad health IT design (including yours truly, which sadly was not enough to save my own mother from health IT design defects). Download it and read it in its entirety. It makes the point that the solutions to these problems (which I increasingly believe just might be an insoluble, wicked problem without major scope and ambition reductions regarding the use of health IT) must be based on reality. The reality must start from a firm response not to end users being flummoxed by bad rollouts or by carelessness (user error), but to the issue of products poorly designed from the get-go by their sellers whose primary interest is to make money come hell or high water. Koppel makes the point that one will not get good results driving a car if that car is designed poorly, with hidden and confusing controls, defective brakes and an engine that overheats and explodes without warning, no matter what post-design interventions take place. The issues of design flaws and fundamental fitness for purpose need to be blown open in a manner similar to the manner in which drugs and other medical devices are evaluated and regulated. Academia needs to lead the charge, not suggest band aids, however well intentioned those band aids might be. ... In essence, I suggest that these two eminent colleagues tell us to look under the lamppost even though, as the old saying goes, the keys were dropped 70 feet away from the lamppost in the dark. Both Singh and Sittig, of course, are fully aware of the errors listed above,3 4 but (1) they expect that we can detect and understand these problems with error reporting, although many potentially serious errors go undetected (thus, unreported), and when detected, the poor design features that contributed to the error may not be readily apparent. (2) Singh and Sittig tend to attribute those sorts of problems to poor implementation, user errors or lack of access to the technology. They do not seriously question if the software is fit for its purpose. 2) concerns created by the failure to use health IT appropriately or by misuse of health IT. I add that such articles tend to confuse policy makers about what truly is needed to solve problems with HIT. I've had the guts to take on these issues via the legal route after the death of my mother, something that led a number of academic zealots to intone that the incident, in 2010, a decade after my writings on bad health IT began, caused me to lose my objectivity. That perverse reasoning passes for wisdom in certain academic informatics circles. Yet it appears their objectivity about health IT never existed. I lack respect for paper writers who in effect become apologists for products birthed as dangerous right out of the gate by opportunistic health IT companies. Perhaps the health IT-mediated death of one of their loved ones would wake them up, but I sometimes doubt even that. This is no mere academic spat. In this case, patient risk and harm worldwide is at issue. The root of any software problem in healthcare, as I've written before, is at the design level. Trying to work around bad design without facing reality leads to and perpetuates risk, patient harm, clinician disillusionment (e.g., the Medical Societies letter to ONC) and impairment of clinicians trying to take care of patients. Kudos to Koppel. I hope the repercussions of his challenge to the usual academic fecklessness and special accommodations afforded this unregulated industry are not too severe. Academics can be feckless towards possible sources of funding, but quite mean to internecine challenges, as Sittig, one of the authors of the challenged piece, was with me in an incident I found out about only because he did not know one of the people to whom he badmouthed me had been a former student I'd mentored. The announced merger and "tax inversion" of Pfizer and Allergan would be one of the largest corporate marriages in US history. It has drawn more than its share of criticism. For example, per the Los Angeles Times, former US Senator and Secretary of State, and current presidential candidate Hilary Clinton said "this proposed merger, and so-called inversions by other companies, will leave U.S. taxpayers holding the bag." By creating the world's largest drug company, it could certainly further consolidate the US and global pharmaceutical market and raise already high drug prices. While Pfizer in particular has benefited from US funding of biomedical research, including training of researchers and development of research infrastructure, (see this New Yorker article by John Cassidy) making the company pseudo-Irish may be "unpatriotic," as President Obama said with regard to tax inversions in general (per the Washington Post). But the latest settlement by Allergan, which I was just about to write about before the merger was officially announced, is a reminder that the companies are a good fit in one sense. Both have long histories of shady behavior as marked by many legal settlements, and in some cases corporate guilty pleas and convictions. A former district manager of Warner Chilcott Sales U.S., LLC (Warner Chilcott), a pharmaceutical company based in Rockaway, N.J., pleaded guilty today in U.S. District Court in Boston in connection with a scheme to deceive insurance companies and Medicare so that they would cover the costs of Warner Chilcott’s osteoporosis medications, Actonel and Atelvia. The idea was to promote two of Warner-Chilcott's products, osteoporosis medicines Actonel and Atelvia, by evading insurance company requirements for physicians to justify their use, given questions about their benefits versus harms, and availability of generic treatments for osteoporosis. But Podolsky was not a lone wolf. At the end of October, 2015, the Boston Globe reported more fully on the scheme, and the large settlement made by Allergan, of which Warner-Chilcott was merely a subsidiary. US Department of Justice allegations involved top leaders of Allergan. The drug reps bought the doctors lunches, dinners, drinks. They paid for speeches the doctors never made. And in exchange, the doctors prescribed drugs that boosted their sales. Warner Chilcott, a unit of pharmaceutical giant Allergan PLC, will pay $125 million to settle these and other charges in an agreement announced Thursday by US Attorney Carmen M. Ortiz in Boston. Ortiz said the company ran an elaborate scheme to prod doctors — including in Massachusetts — to prescribe its drugs in exchange for kickbacks. Warner Chilcott’s former president, W. Carl Reichel, was charged in federal court for allegedly conspiring to pay kickbacks to physicians, and a Massachusetts physician, Dr. Rita Luthra of Longmeadow, was indicted for allegedly accepting payments. Warner Chilcott illegally promoted at least seven drugs, including the osteoporosis treatments Actonel and Atelvia. The company made fraudulent requests to the federal government and to insurance companies to boost sales of their drugs, the US attorney’s office said, and employees also made unsubstantiated claims about the drugs’ benefits. Note that the charges were of actions that went well beyond financial fraud. They included dishonest marketing and kickbacks to physicians. The alleged actions could have harmed patients, by inducing physicians to prescribe unneeded drugs with known adverse effects. Note further that unlike many other legal settlements about which we have written in the past, this one did not allow the company to escape by just paying some money and then claim that it did not confirm or deny the charges. In this case, the company pleaded guilty. Warner Chilcott has agreed to plead guilty to health care fraud. It will pay a $23 million criminal fine and $102 million to resolve false claims with state and federal governments. The case was brought by two whistle-blowers. Meanwhile, Reichel, the former Warner Chilcott president, was arrested in Boston on Thursday. Prosecutors say in their indictment that Reichel designed a sales and marketing strategy to entice doctors to prescribe his company’s drugs with free dinners and bogus speaking fees. The physicians paid to give speeches often did not speak at all, and instead enjoyed expensive dinners with sales representatives, the indictment says. Reichel left Warner Chilcott in 2011, according to a news release. Furthermore, per a Forbes column, Mr Reichel was allegedly involved up to his proverbial eyeballs. The Reichel indictment says that, while president of Warner Chilcott’s pharmaceuticals divisions from 2009 to 2011, he directed company sales staff to push physicians’ to prescribe its drugs by throwing money at doctors’ in various ways, such as expensive dinners for doctors and their spouses and 'speaker' fees to attend informal dinners without educational content. Reichel also allegedly provided sales reps with a separate expense account to buy food and drinks for employees of physicians who prepared prior authorization forms certain insurers required to pay for patients’ drugs. Reichel hired 'Type A crazy' sales representatives, as he called them, who were provided with 'limited training concerning compliance with health care laws and otherwise de-emphasized the importance of compliance to the sales force,' the indictment says. Finally, two other middle managers involved in the case entered guilty pleas, according to the Department of Justice. Thus this settlement may be regarded as much tougher than many previous legal settlements involving big health care organizations. However, its bearing on the huge Prizer-Allergan merger has apparently not so far been publicly discussed. It is not that the new Allergan settlement is a one-off. It needs to be viewed in the context of Allergan's previous history of misbehavior. Allergan itself is the result of a number of mergers in quick succession. It started off as a generic-drug company called Watson Pharmaceuticals Inc. In 2012, Watson acquired Swiss rival Actavis Group and adopted that name. It also absorbed Warner Chilcott PLC and Forest Laboratories Inc. in multibillion-dollar deals. Mr. Saunders was CEO of Forest Labs, and became CEO of Actavis after that deal. Shortly after, Allergan’s predecessor was put into play when Valeant Pharmaceuticals International Inc. made an unsolicited offer to buy the California company. Actavis then stepped in as a white knight and bought Allergan, taking the company’s name. - In 2010, in case which included allegations that it paid kickbacks to physicians to promote its product, Allergan pleaded guilty to to federal charges of misbranding of Botox and agreed to penalties of about $600 million (see this post). - In 2010, Forest Laboratories settled allegations that it deceptively promoted drugs, particularly that it promoted anti-depressant Celexa for children by partially by covering up negative trial results about it. This likely hurt patients, since anti-depressants like Celexa have been shown to have severe adverse effects, including suicidal ideation, for children. The company also was charged with giving kickbacks to physicians to promote drugs. The company pleaded guilty to a felony charge of obstructing justice, and two misdemeanors, including misbranding Celexa and illegal distribution of Synthroid. The company paid over $300 million in penalties and submitted to a corporate integrity agreement. (See this post) The Department of Justice threatened to disbar the CEO of Forest Laboratories, but then inexplicably backed off (see this post). So the latest settlement by Allergan subsidiary Warner Chilcott is the fourth major settlement since 2010. The company and its predecessors have pleaded guilty to crimes, at least once to a felony, and settled cases involving allegations of kickbacks and deceptive marketing practices. And things really get interesting when one considers Pfizer's track record, which seems much sorrier than Allergan's. Our latest post, about Pfizer misbehavior was only one month ago (October, 2015). A UK judge found that the company threatened health care professionals for using a generic competitor. Many posts on Pfizer can be found here. The latest update of Pfizer's troubles since 2000 follows. So the proposed merger of Pfizer and Allergan would truly create a behemouth of bad behavior. The combined company would have a staggering record of legal settlements, guilty pleas and convictions involving deceptive marketing, fraud, kickbacks, bribes and anti-trust violations, and even an obstruction of justice plea and a RICO conviction. Yet the managers in charge of the two companies when the bad behavior occurred never had to suffer any negative consequences (although in one current case there is the possibility one executive might be convicted). Many of these managers have become amazingly rich during the course of their leadership. Is there any reason to think, absent any unexpected increase in the courage and resolve of government law enforcement, or any unexpected public protest, that the new company will not continue to misbehave as long as its executives are making money from the process? The Pfizer Allergan merger is the true poster child for the amorality, and consequent dysfunction and decline of modern US and now global health care. As long as top managers of big health care organizations can act with impunity, can avoid all responsibility for their organizations' bad behaviors, and can personally profit wildly from their companies actions, the health care death spiral will continue. Will we continue to cry out in the wilderness, or will anyone else see the writing on the wall? A musical moment to partially alleviate the gloom. "Your Cheatin Heart" sung by Hank Williams Jr.